Many people do not consider pigeons to be anything more serious than a nuisance. 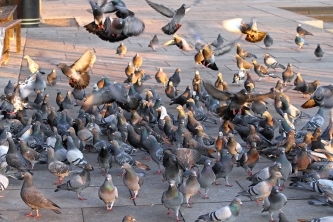 But the fact is, pigeons can damage property and spread a number of diseases. If you need bird control near San Francisco or any other Bay Area location, Premier Rodent & Bird Proofing is the company to call. We only need one visit to bird-proof your property, and all of our bird control work is guaranteed. Continue reading to learn more about the pigeon-related diseases that can put your home or business at risk. This is a disease that results from a fungus that grows on pigeon droppings . It grows in soils as well, and can be found all over the world. Through cleaning droppings, a person may inhale some of the fungus, which can cause infection. Most people do not show symptoms of histoplasmosis, but those that do experience the onset roughly 10 days after the initial infection. Symptoms include chest pains, fever, and fatigue. Histoplasmosis cannot be transmitted from one person to another. 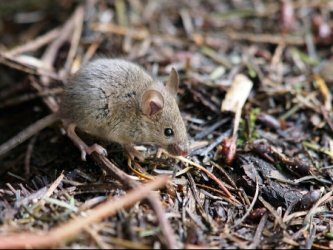 Those with a weakened immune system are at greater risk for developing histoplasmosis. This is another fungal disease that grows on pigeon droppings and soils throughout the globe. Healthy people are not likely to become infected with this disease, even after high levels of exposure. A weakened immune system is the biggest risk factor for infection. The Centers for Disease Control (CDC) estimates that 85 percent of individuals with cryptococcosis are HIV-positive. Also called parrot fever or ornithosis, psittacosis is an infectious bacterial disease that affects birds such as parrots, parakeets, and pigeons. This disease is spread to humans when a person inhales bird droppings that have dried and become airborne. Psittacosis symptoms develop roughly 10 days after exposure and include fever, rash, chills, fatigue, headache, and occasionally pneumonia. Psittacosis is treated with a common antibiotic. Those at highest risk include pet shop employees, veterinarians, and people with weakened immune symptoms.